Award Winning Professional Photography • Live Music • Conch Shell Blowing • Fresh Orchid Leis & Bouquet . . . PLUS more wedding delights! Go native! Hawaiian style! Stress free! 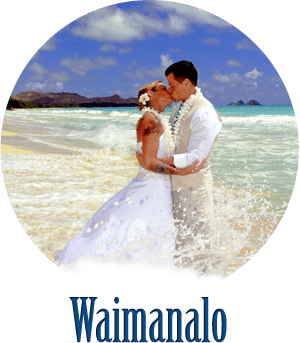 Five Star First Class Authentic Hawaiian Wedding and Vow Renewal Packages START AT $695. Includes Award Winning Photography, live music, conch shell blowing, real flowers including bouquet and leis and much more. See all these VALUE PACKED package offers. 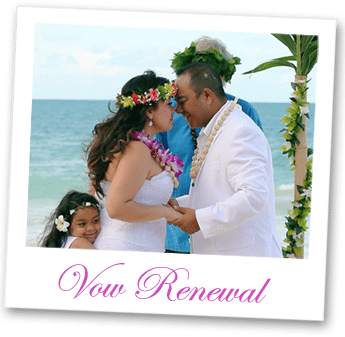 All our Hawaii beach wedding packages can be used for vow renewals. 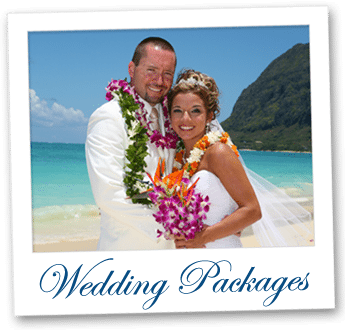 Kauai and Oahu Hawaii beach wedding permits are included in pricing. 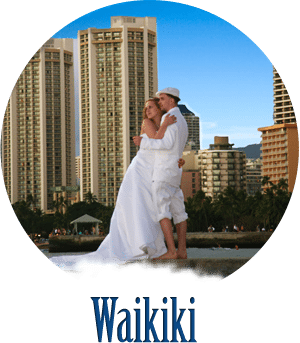 You may also add any amenities you wish as we offer a menu for anything you could possibly WISH for at you Hawaii Wedding! Includes Professional Beach Wedding photography with abundant creative poses, 175 images. "Out of all the world, you found each other... 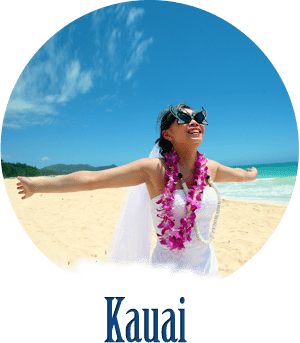 Such a truly magical event deserves a dream come true Hawaii Beach Wedding on Oahu or Kauai!" We manifest your wedding dreams, desires and wishes using these spectacular locations for your special day. These places of beauty inspire a sense of enchantment into your wedding ceremony creating the tranquility and heavenly vibrations your wedding deserves! We use these amazing locations due to their Hawaiian beauty, great photo opportunities, safety and ease of access. Sweet Hawaii Wedding embodies the soft, delicate and graceful spirit of old Hawaii. 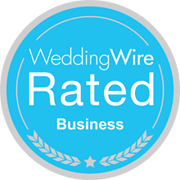 When you book with SHW you will know your wedding package includes everything to make your ceremony Eloquent, Magical and above all SWEET! 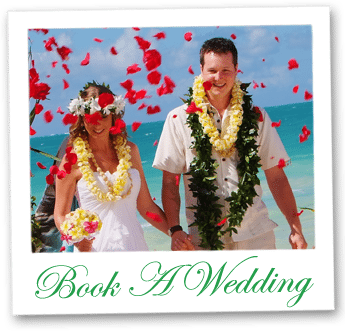 Sweet Hawaii Wedding is one of the oldest and most respected wedding coordination experts in the Islands. It is a family owned business originated by our Grandmother Agie on the island of Oahu in 1922. 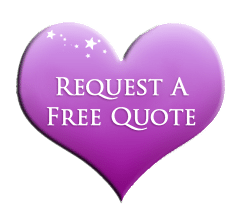 Creating beautiful weddings has become second nature to us and we wish to share our wealth of expertise with you. 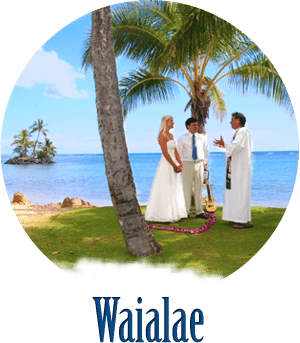 When you choose our firmly established Oahu & Kauai wedding company you are guaranteeing yourself a stress free wedding with an artistic and romantic flare.